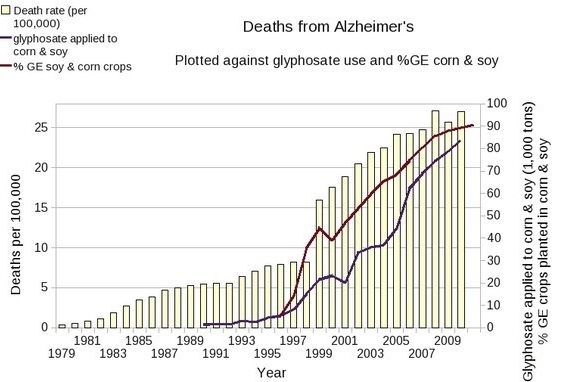 Glyphosate is the most widely used herbicide in the world. It has achieved this popularity because it is considered to be perfectly safe for humans and other mammals. Soil microbes are said to be immune to any ill effect from glyphosate. Glyphosate is a chelating agent. It works as an effective herbicide by blocking a metabolic pathway in the plant, known as shikimate pathway. Human chemistry lacks the Shikimate pathway and therefore is said to be safe for humans. However, this theory is untrue, because all microbes have the shikimate pathway. Our gut is teaming with microbes. Glyphosate derails the microbial physiology of the gut resulting in an overgrowth of pathogens, the production of toxic phenols and the disturbance of sulphate synthesis and transportation . 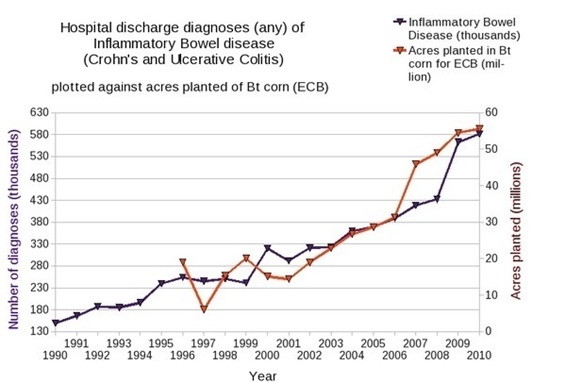 The resultant Gut Dysbiosis produces chronic inflammatory bowel disease which leads to food intolerance, allergies, eczema and auto immune problems. If the inflammation worsens it leads to leaky gut. That means the toxins can escape into the bloodstream where they behave like a wrecking ball in different parts of the body including the brain. "The introduction of such an intense mineral chelator as glyphosate into the food chain through accumulation in feed, forage, and food, and root exudation into ground water, could pose significant health concerns for animals and humans and needs further evaluation." Dr Stephanie Seneff PhD (MIT) has been studying autism for more than two decades. She, like everybody else believed that there must be some link to an environmental factor. A chance meeting with Prof Huber about a year ago joined the dots back to glyphosate. in July 2013, Dr Seneff wrote in an email to me: " yes you are basically right.....the disruption of gut bacteria by glyphosate interferes with the supply of critical(essential) amino acids to the body. Of course it also interferes with the synthesis of these amino acids in plants exposed to glyphosate. This is particularly problematic for GMO plants, which get exposed to lots of glyphosate and readily soak it up into their tissues. This means:- 1) foods derived from these plants will be deficient and (2) foods derived from these plants are likely to be highly contaminated with glyphosate. 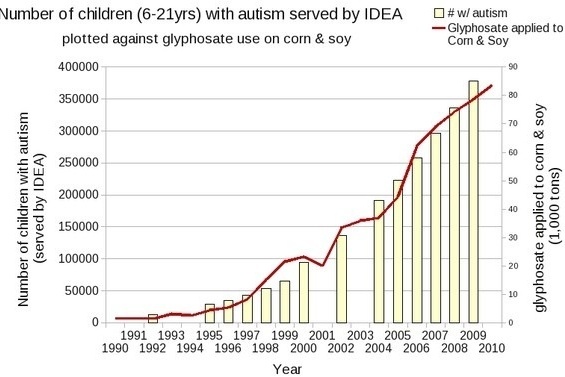 In the US very little is being done of glyphosate levels in foods. Glyphosate also chelates several essential minerals and this leads to deficiencies that will have significant impact, especially on sulphur metabolism. The other really serious problem is the disruption of cytochrome P450 enzymes, which have many uses, particularly in the liver and the reproductive system. CYP enzymes are essential for detoxifying many environmental chemicals(like paracetamol) which can become more toxic in the presence of glyphosate. 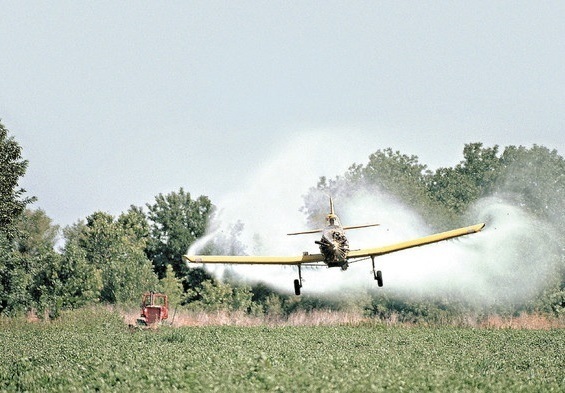 Glyphosate has never been tested for longer than 90 days, which is the biotech standard. Prof Seralini from France, replicated the industry trials and continued for 2 years. He produced both cancer and organ disease. He was attacked by the industry and had his paper withdrawn. The claims being that his findings were inconclusive. They also found fault with his methodology. There was an enormous outcry amongst the scientific community. difference was that the industry did the study for only three months; whereas the toxicity takes a bit more than 3 months before it starts to show up." “This retraction lacks any scientific basis. If the lack of ‘definitive conclusions’ were a valid reason for retraction, our libraries would be almost empty, as I have yet to see a study that yielded results of ‘definitive’ conclusiveness. “In fact, the surprising revelation of FCT’s highly irregular post-publication evaluation process is that Séralini’s study would appear to be flawless. In response to massive, orchestrated pressure from industry-aligned circles, a secret group of unknown people was set up with the sole aim of finding weaknesses in the study to allow it to be shot down and retracted (we have no verifiable evidence that thesepeople were experts in the relevant fields of science or in anything, for that matter). Yet after trying hard for one full year, all they could come up with was a lack of ‘definitive conclusions’. If there is nothing to hide, the simple solution is for the industry to replicate Seralini's study for the full 2 years. The fact that neither they nor any government will do so, speaks volumes. Hi Paddy, this deserves widespread promulgation. 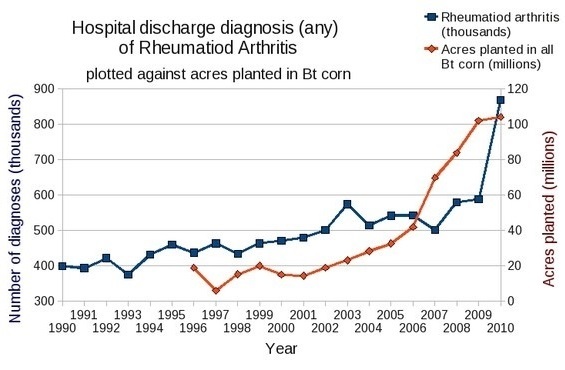 Glycophosphate is short term gain, long term pain - it damages the producer, the consumer and the soil !